In the third week of August the Island goes off the rails in the best possible way! 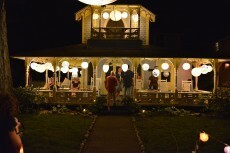 Illumination Night, The West Tisbury Agricultural Fair and the Oak Bluffs Fireworks immerse the Island in a nearly week-long, back to back, explosion of summer entertainment. Whether, like many, you’ve planned your vacation around this week or whether luck has landed you in its midst, make sure you make the most of this extraordinary week on Martha’s Vineyard. Where: MV Campmeeting Assoc. Campground just behind Circuit Ave. in Oak Bluffs. When: Traditional Wednesday night sing-a-long begins at 7 pm at the Tabernacle; lanterns are lit as the sky grows dark usually around 9 pm. This annual event is a holdover from the days when the Methodists gathered for revival meetings. 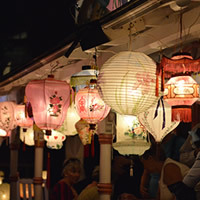 At summer’s end the lighting of the lanterns, many of which survive to this day, symbolized the spiritual revitalization of the community. 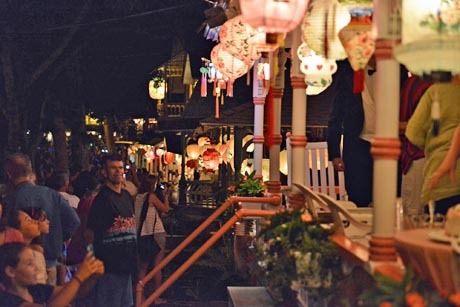 Seeing the great multitude of lights illuminate the ornate and colorful porches is still a lovely and uplifting experience. Not only is this a great way to explore the Vineyard’s strong agricultural roots and small town vibe, its also just plain fun! 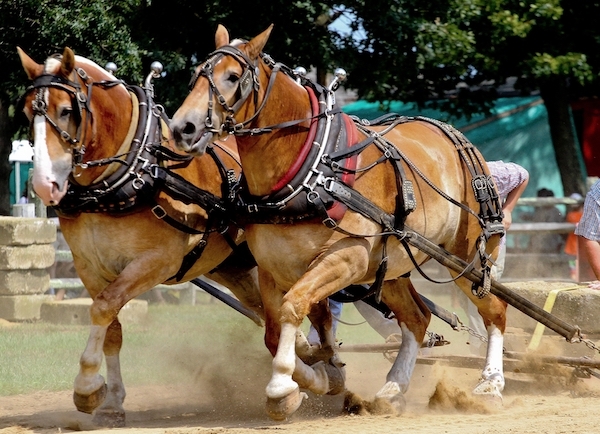 Browse the displays of art, handiwork and homemade preserves; check out the prize-winning livestock and don’t miss the oyster shucking, dog show, skillet throw and other events. Then, feel like a kid again: stuff yourself with cotton candy, try you luck in the mid-way and make yourself dizzy on the gravity defying carnival rides. Where: Ocean Park, between downtown and the town beach. When: Band concert starts at 7 pm; fireworks at dark, usually around 9 pm. An amazing display over an unforgettable venue. What’s not to love! Check out the Vineyard Gazette Calendar for details on these and other exciting August events!